You've made it this far and I'm glad you have. If you have found this site it is more than likely because we had a conversation. My hope is that you came away from the conversation willing to consider why you believe what you believe and if the foundation of what you believe is solid. "I have my own views about spirituality"
1 - "Ahh I don't believe all of the Bible...but I'm spiritual"
2 - "I'm a spiritual person...I believe everyone is inherently good and we don't really need to go to Church. 3 - "I believe there is a higher power but I don't believe it's a specific god.There are so many different religions and we can't narrow it down or limit it (salvation)"
1) I am probably polishing up the questions and answers a bit as I can't remember word for word what was said...I'm doing my best to remember and am trying hard to stay true to the account! We'll do our best to respond within 48 hours. Thanks, we're praying for you and God bless! "28 Let him that stole steal no more: but rather let him labour, working with his hands the thing which is good, that he may have to give to him that needeth." Have you ever asked what's my purpose? Maybe, what's God's will for my life? Well it's not just get to work because that would be self focused and I think that is our main problem!! If someone is truly repentant then they will not just work for themselves but they will work for others. How could you not considering the grace we have been given? Isn't it crazy how we stick to the don't dos rather than getting into the DOs in the Bible? 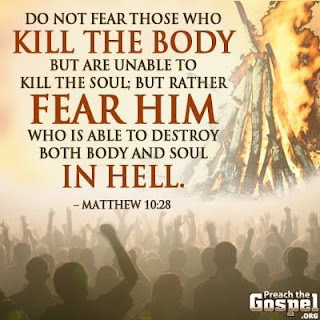 Fearing and Obeying God Not Man! I thought it would be neat to share something that is not talked about much...the faith of a couple of midwives. It doesn't sound so glorious but it's awesome how they were used by God! "8 Now there arose a new king over Egypt, who did not know Joseph. 9 And he said to his people, “Look, the people of the children of Israel are more and mightier than we; 10 come, let us deal shrewdly with them, lest they multiply, and it happen, in the event of war, that they also join our enemies and fight against us, and so go up out of the land.” 11 Therefore they set taskmasters over them to afflict them with their burdens. And they built for Pharaoh supply cities, Pithom and Raamses." -The prior Pharaoh of Egypt knew Joseph and gave them a place to live. Did you know that the God of the Bible existed before the beginning of everything? Did you know that God has always existed and always will? -Ok that’s not that convincing…God was in the beginning. This doesn’t say He has always existed or that He is eternal. (Eternal means always existing; Without beginning or end) Alright, good point! -God’s years never end!! AwesomeJ -If God is eternal that certainly solves our age old question, “Who was there in the beginning?” -But what about before the beginning? A. Welcome! What is truth?